Home Sweet Home: Table Aquariums? My love for home decors had brought me to the home furnishing section of one mall that we've visited at Bangkok. 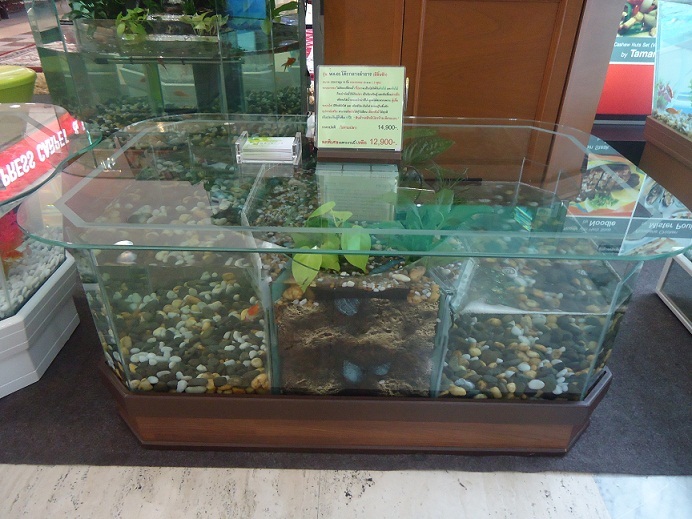 I was pleased to see these aquariums that come in different designs and colors. I especially love the idea that the aquarium designs are multifunctional. You see, these aquariums doubled as a center or side table and would be a very nice attraction in our living rooms. This is definitely a space saver as this is an aquarium and a table in one. I wonder if these designs are also available in the Philippines?